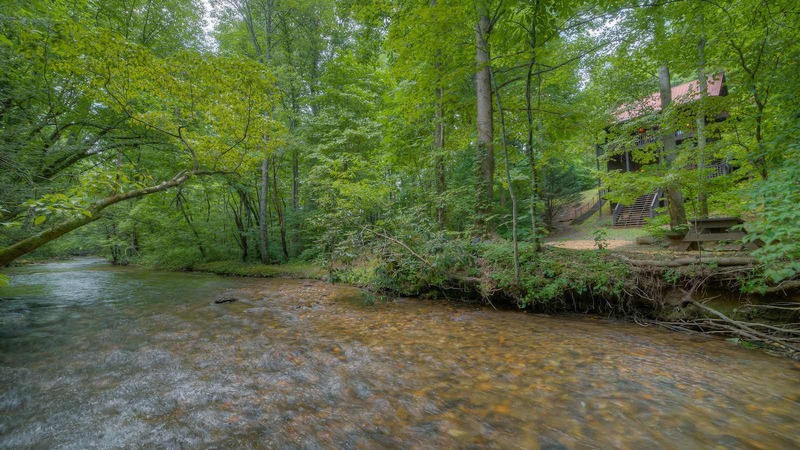 ATTENTION WATER LOVERS: you have just found paradise! 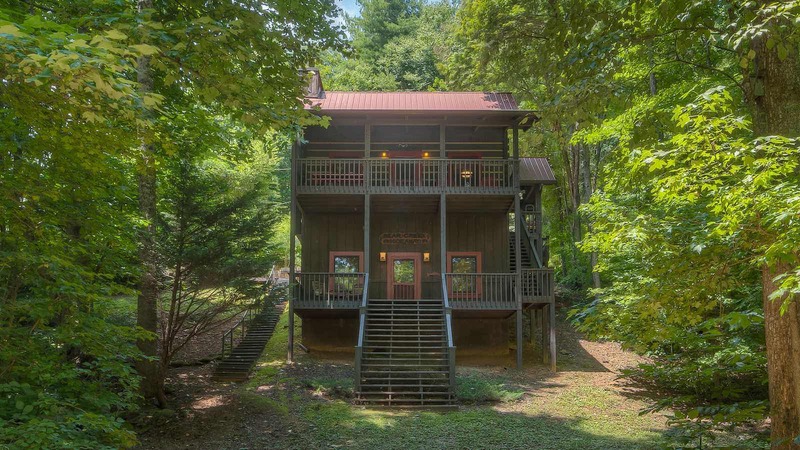 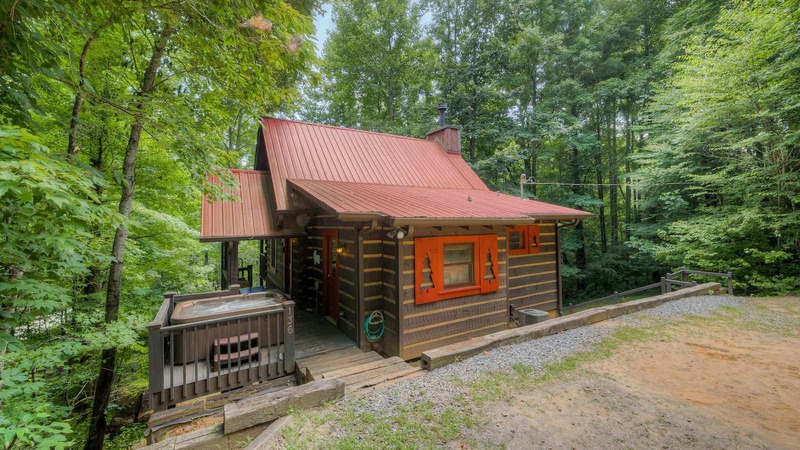 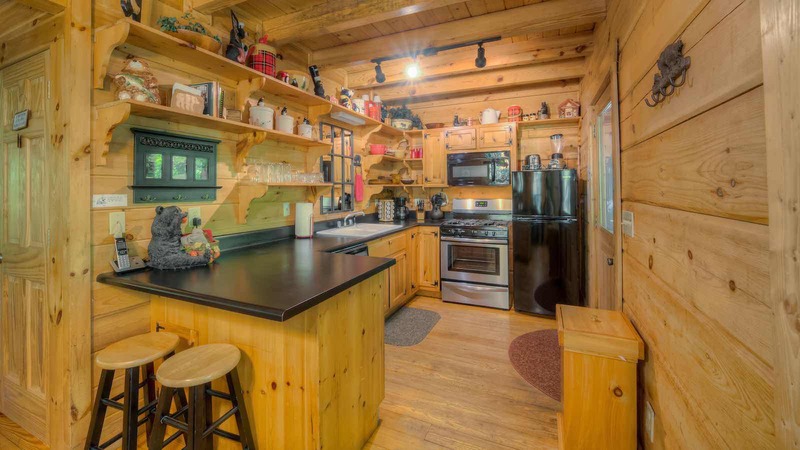 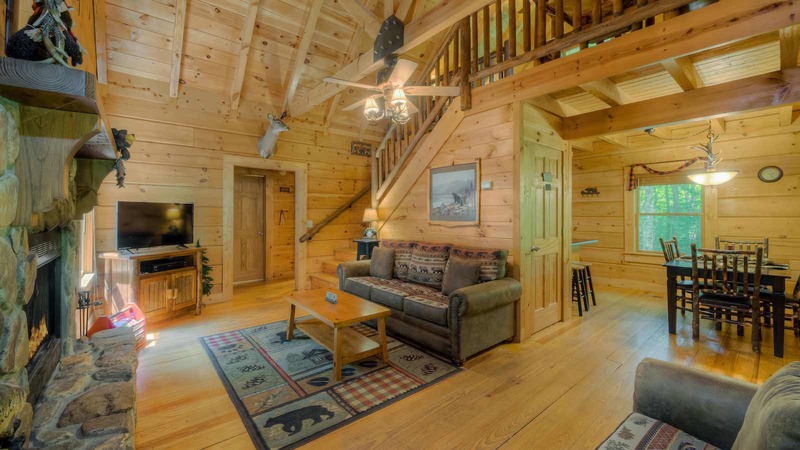 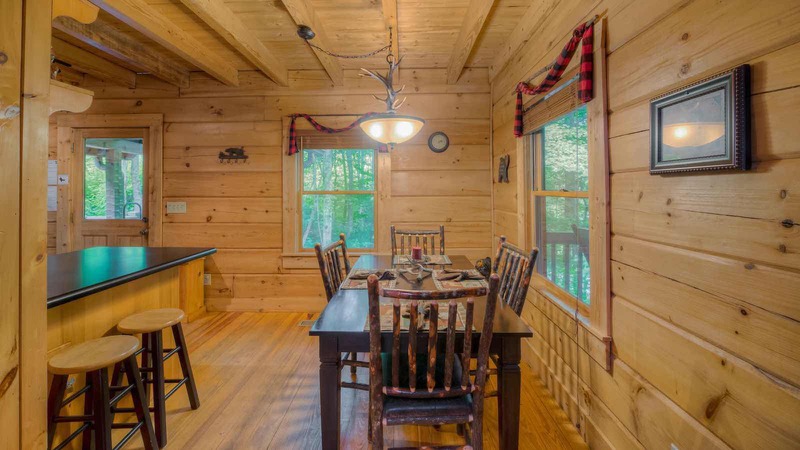 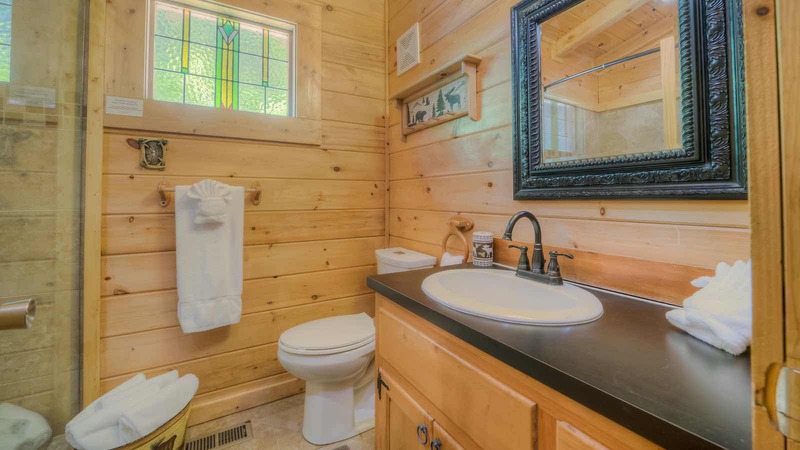 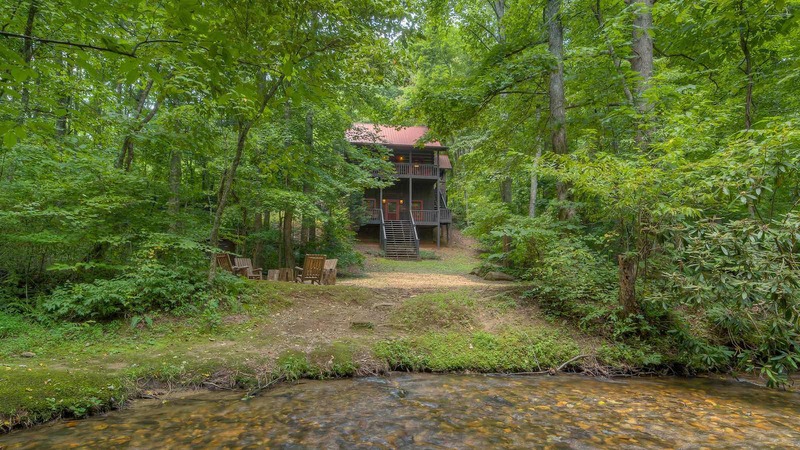 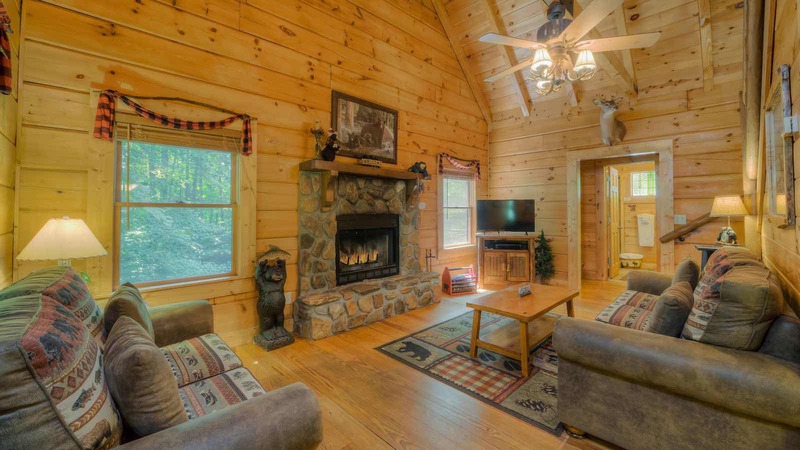 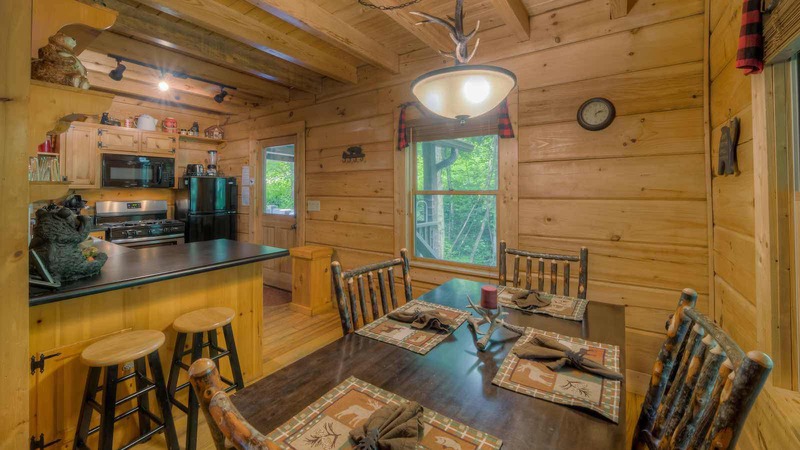 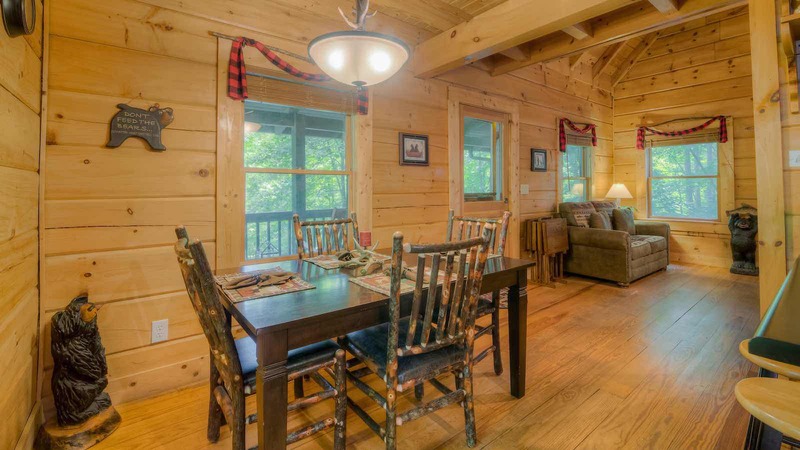 This cozy authentic log cabin sits right on the banks of Fightingtown Creek, a designated trout stream famous in North Georgia! 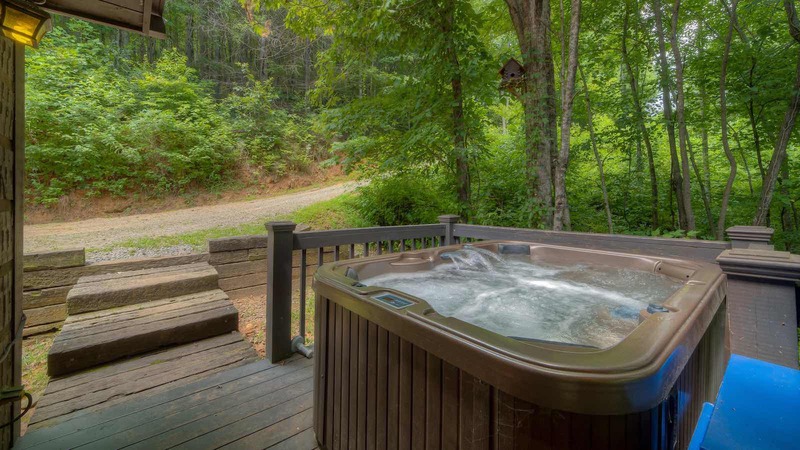 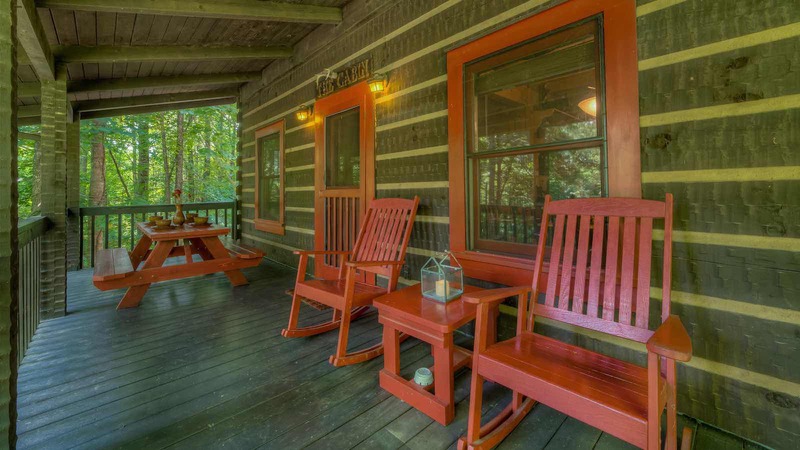 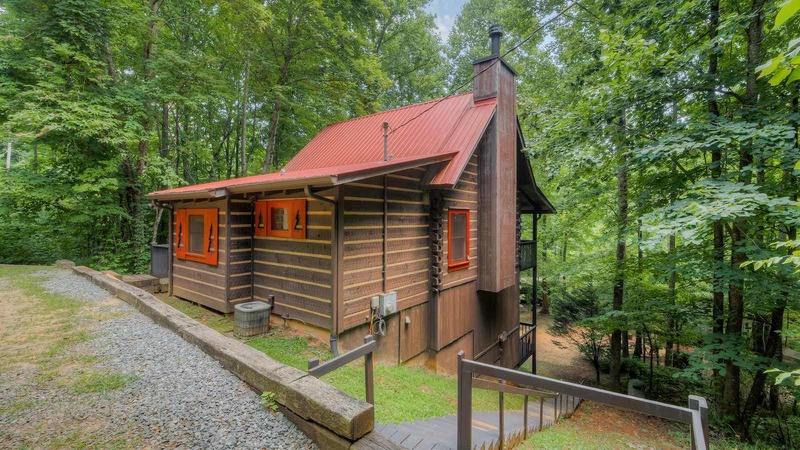 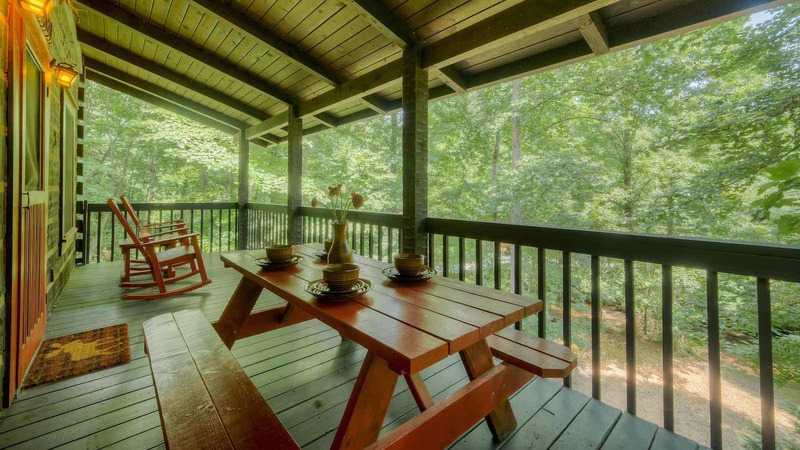 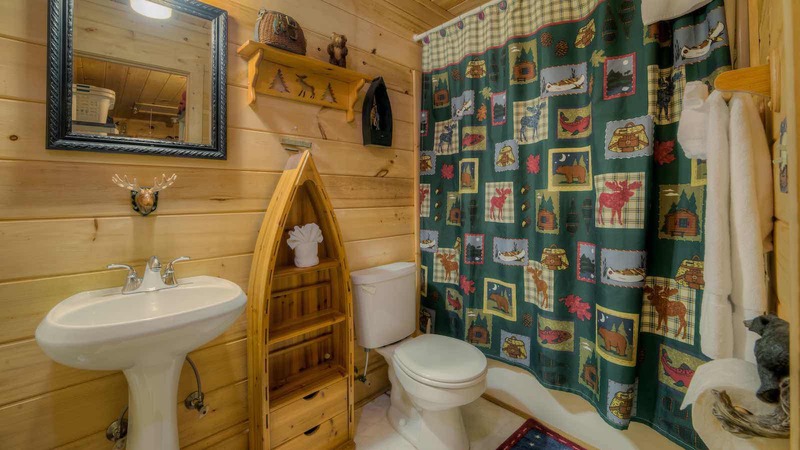 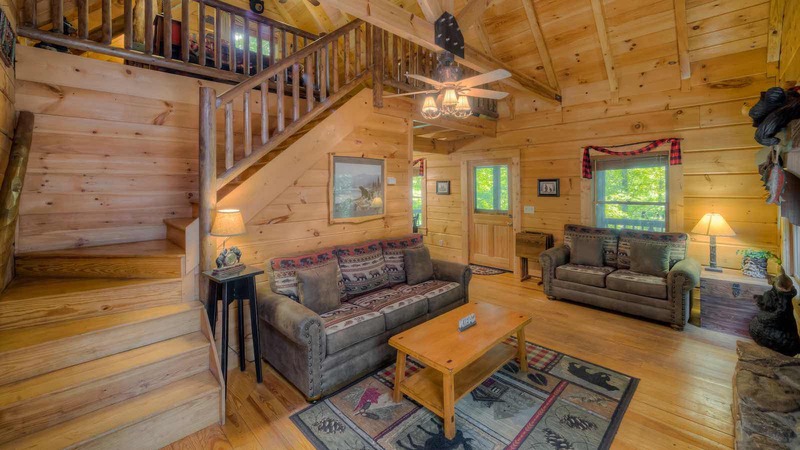 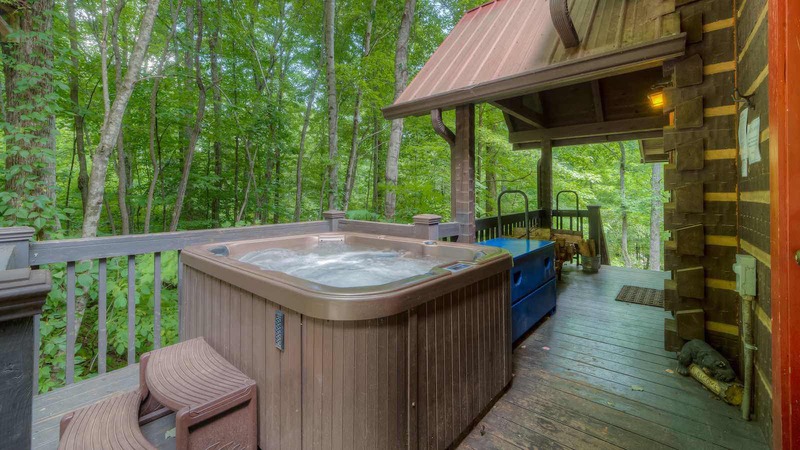 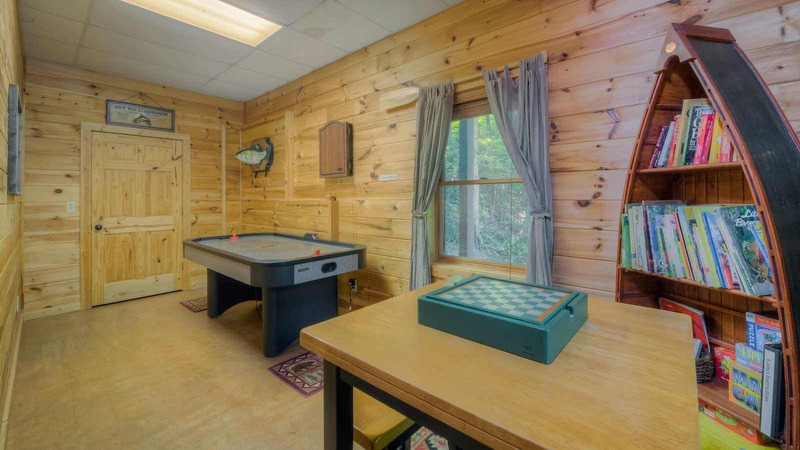 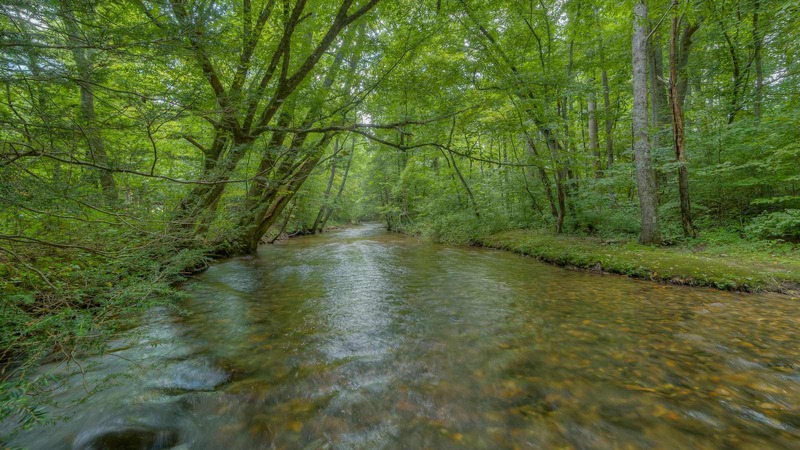 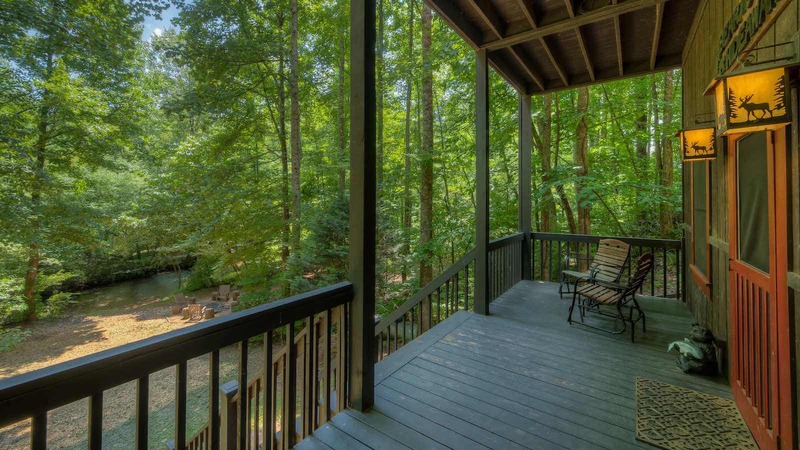 Bear Creek Hideaway is the perfect place for your next getaway! 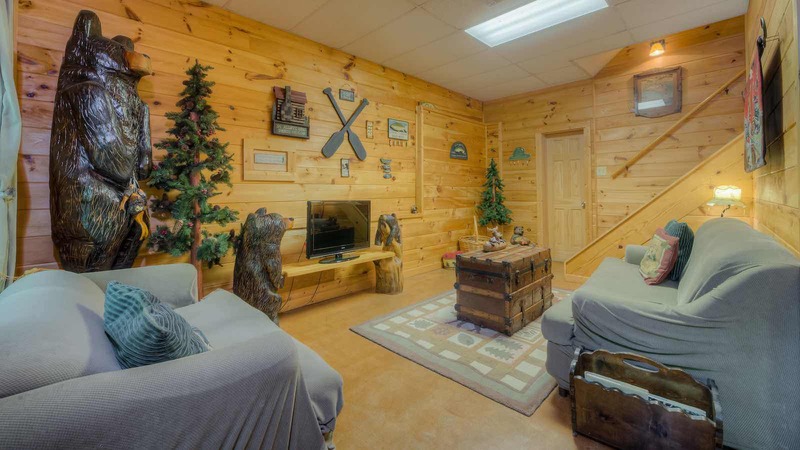 The main level has a fully equipped kitchen with dishwasher, dining area and living room with wood burning fireplace and satellite tv with DVD & VCR. 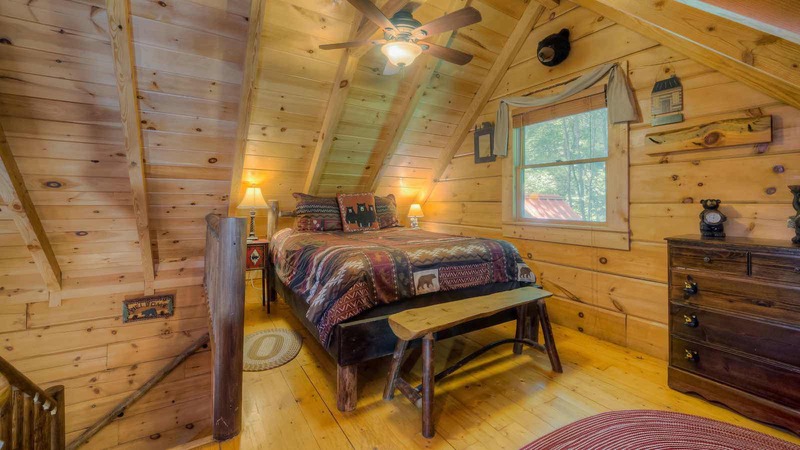 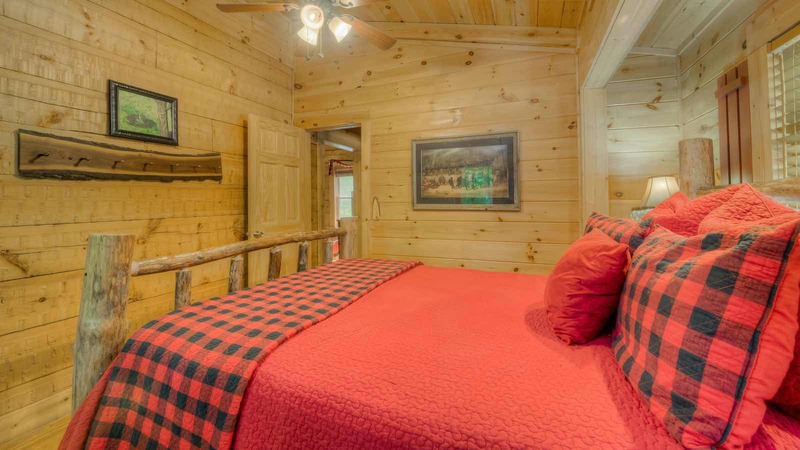 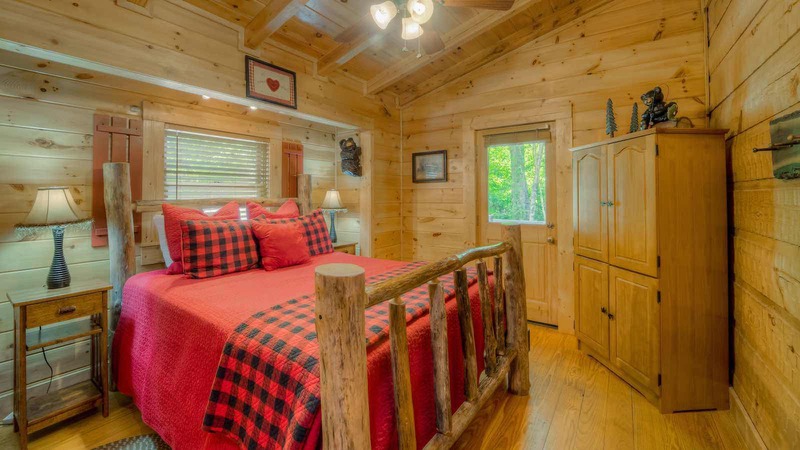 The bedroom on this level has a locally handcrafted queen size log bed. 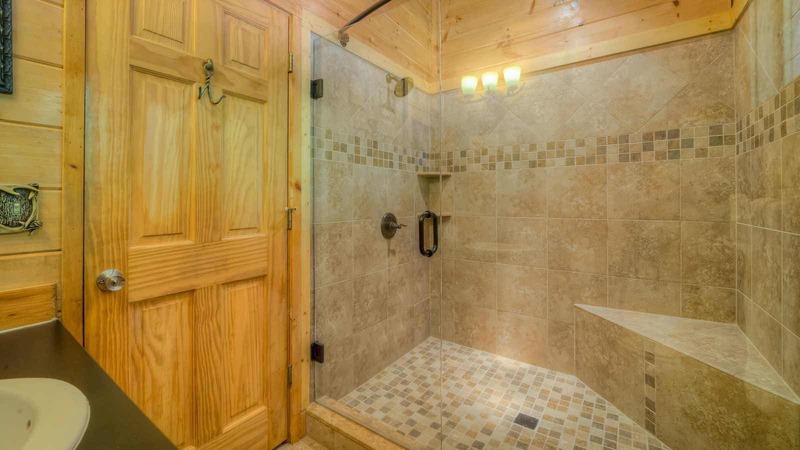 The bathroom has a new tile shower! 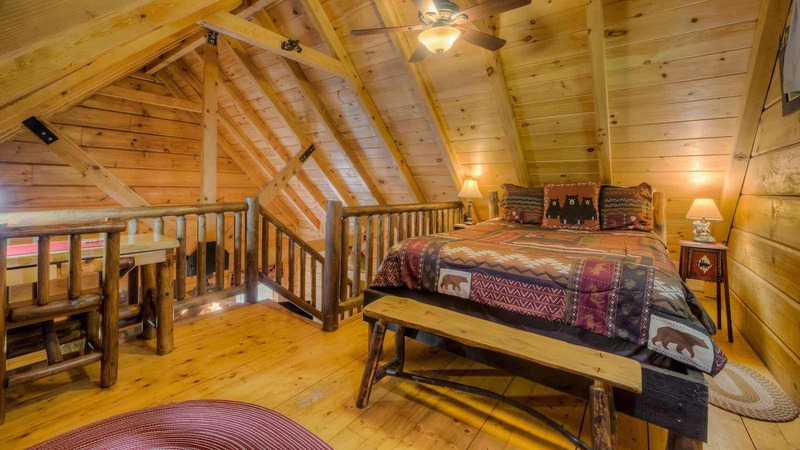 The loft bedroom has another queen size log bed with a desk area for those that need to check in at work. 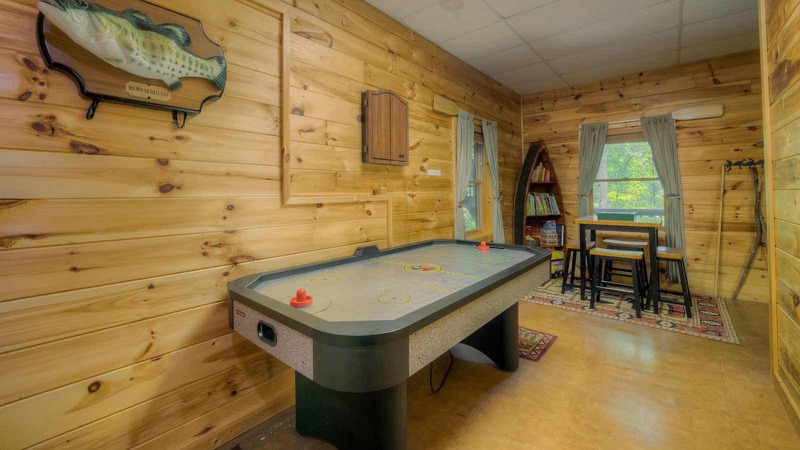 The finished basement has an air hockey table, dartboard and another living room area with satellite tv. 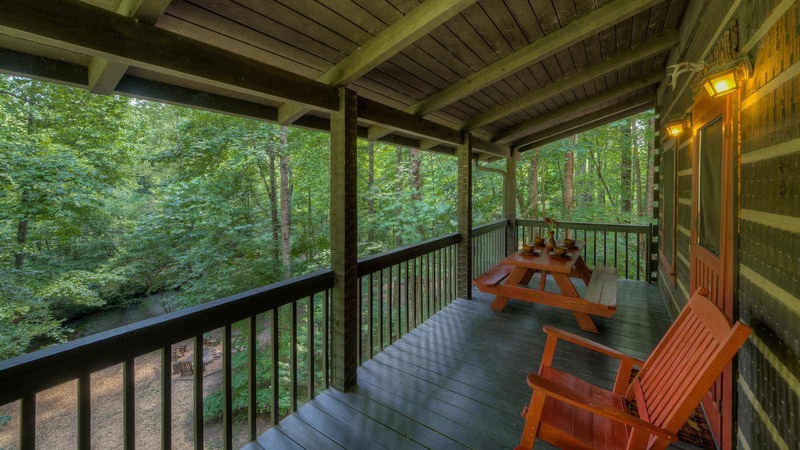 Both the main level and the basement level have lovely porches for you to sit back and relax on while listening to the sounds of nature. 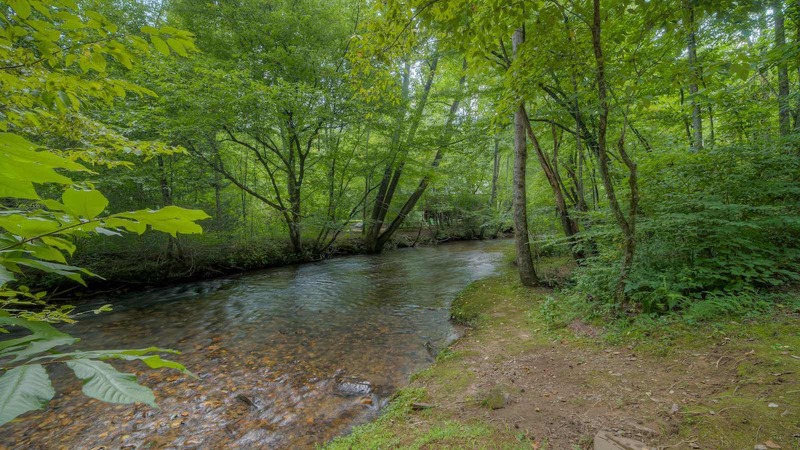 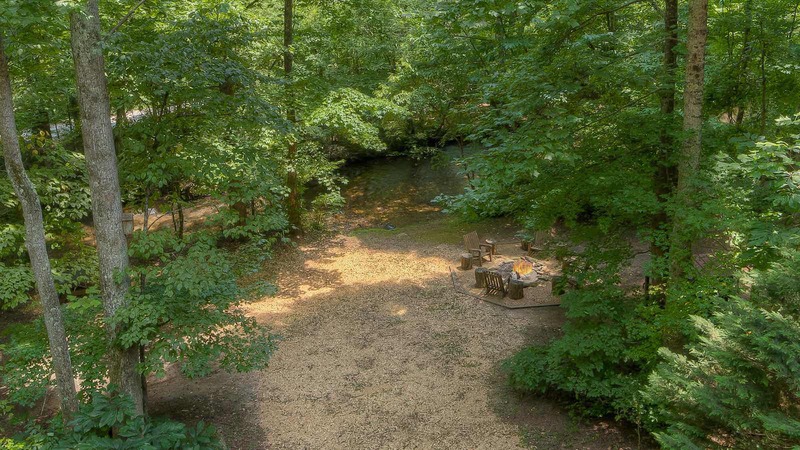 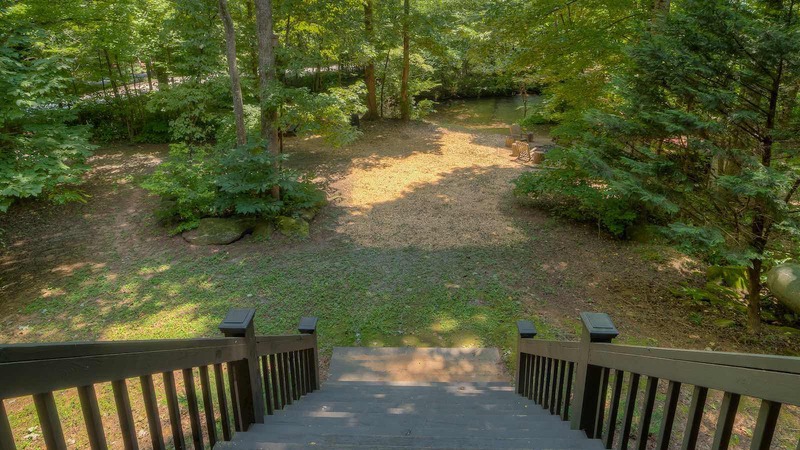 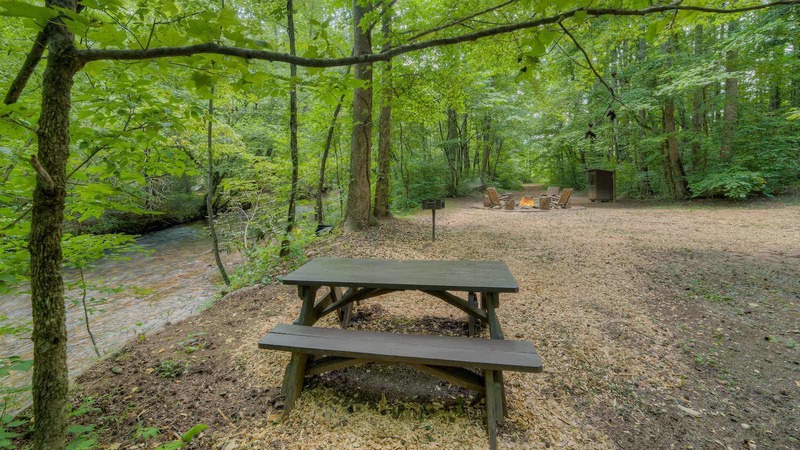 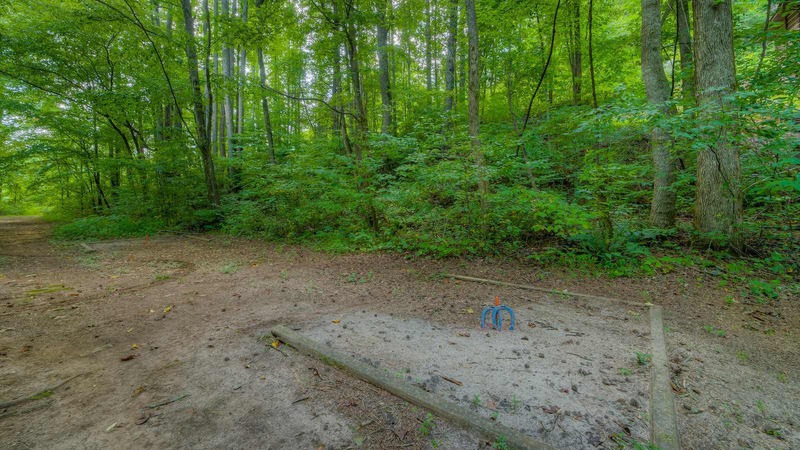 Down by the creek you can enjoy the firepit, picnic table, hammock and horseshoe pits. 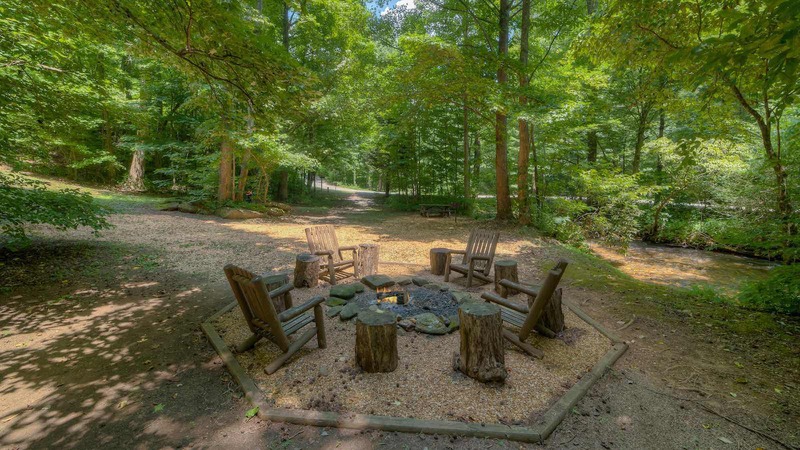 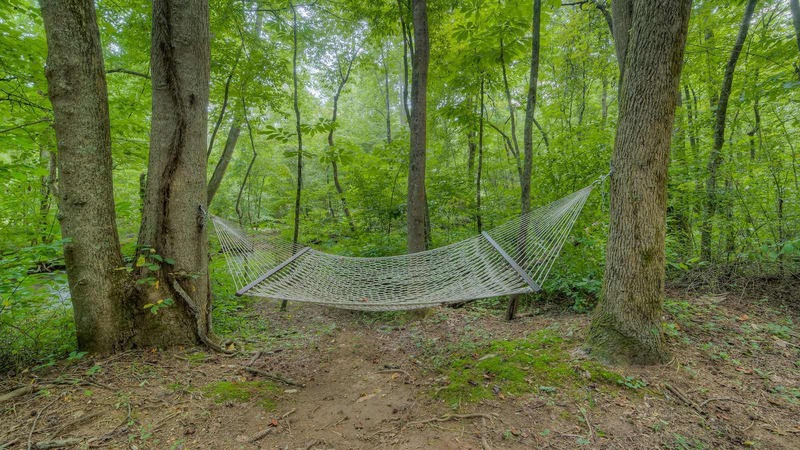 Bear Creek Hideaway is a great place to come and get away from it all!